WILMINGTON — A local grand jury indicted a Sabina woman with six counts of aggravated drug trafficking, including the drugs of fentanyl, oxycodone and hydrocodone. The indictments against Christy A. Velazquez, 43, of Sabina, also found that Velazquez had in her possession $3,066 that was allegedly gained through the sale of the controlled drugs. The trafficking activity reportedly occurred in September 2018. Four of the six trafficking counts pertain to oxycodone, one count to fentanyl, and one count to hydrocodone. The most serious charge is one of the oxycodone counts, which is classified a second-degree felony due to the alleged amount of the controlled substance. 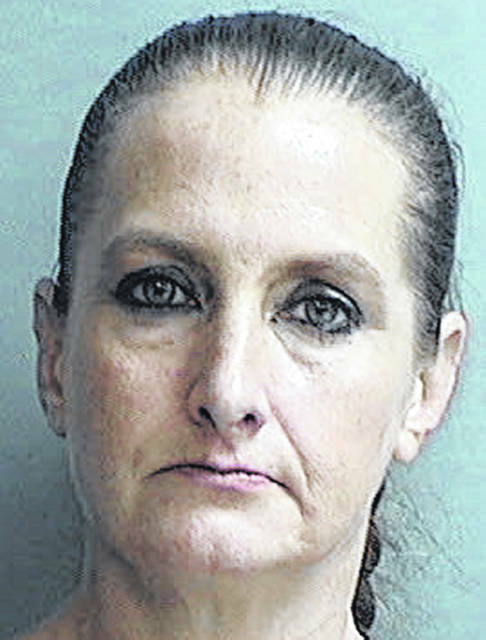 The same grand jury session saw a Port William woman getting indicted on a charge of conveying fentanyl, a drug of abuse, onto the premises of the Clinton County Jail. In addition to the illegal conveyance of drugs third-degree felony offense, Heather Younker, 41, a resident of Port William, was indicted with aggravated possession of drugs. The alleged incident occurred during the last week in December 2018. 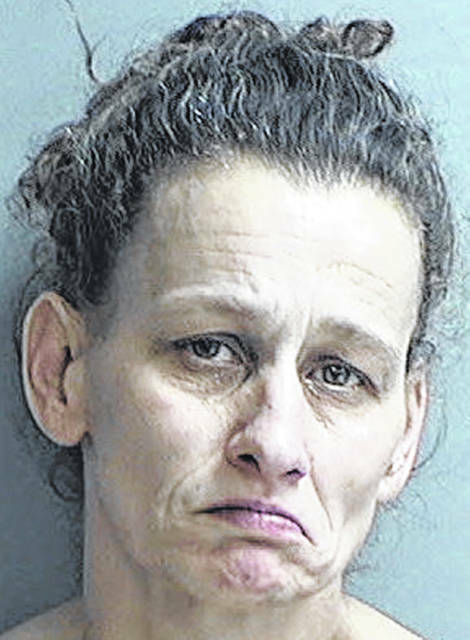 Similarly, a New Vienna-area woman was indicted with illegal conveyance of a drug of abuse at the Clinton County Jail, reportedly occurring in December 2018. Angela J. Goodwin, 43, of the New Vienna area, faces a count of conveying buprenorphine onto the jail premises. She also is indicted with possessing buprenorphine, which is a first-degree misdemeanor offense. The grand jury also presented the below indictments against the following named persons. • Mark A. Barton, 49, of Wilmington, was indicted with possessing hashish, marijuana trafficking, possessing marijuana, illegal cultivation of marijuana, and two counts of endangering children. • Nina M. Willis, 43, of the Martinsville area, was indicted on a charge of aggravated possession of drugs. • Heather M. Cole, 24, of Wilmington, was indicted on a charge of aggravated possession of drugs. • Daniel W. Decker, 37, of Wilmington, was indicted on a charge of aggravated possession of drugs. • Richard Bush III, 33, of the Clarksville area, was indicted on a charge of aggravated possession of drugs. • Andi J. Uhl, 31, of Sabina, was indicted on a charge of aggravated possession of drugs. • Charles J. Matthews, 31, of Milford, was indicted on a charge of aggravated possession of drugs. • Karen Marshall, 51, of Cincinnati, was indicted on a charge of aggravated possession of drugs. • Mark S. Allen, 34, of the Martinsville area, was indicted on two counts of failing to appear in court. • Scott Basil Laney Jr., 39, of the New Vienna area, was indicted with failing to appear in court. • Dave A. Poorman, 32, of Blanchester, was indicted with failing to appear in court. • Shawn Dwayne Hubbard, 42, of Sabina, was indicted with failing to appear in court. • Matthew R. Woodruff, 34, of Wilmington, was indicted with failing to appear in court. • Ronald N. Sapp, 43, of Hillsboro, was indicted with failing to appear in court. • Skylar R. Silbas, 23, of Chillicothe, was indicted with failing to appear in court. • Thomas Mason, 20, of Xenia, was indicted with failing to appear in court. • Thomas L. Barr, 59, of Xenia, was indicted with failing to appear in court. • Darrell Washington II, 32, of Cincinnati, was indicted with failing to appear in court. • Kali L. Stripe, 36, of the Dayton area, was indicted with failing to appear in court. • Joseph Z. Davis, 44, of Columbus, was indicted with failing to appear in court.